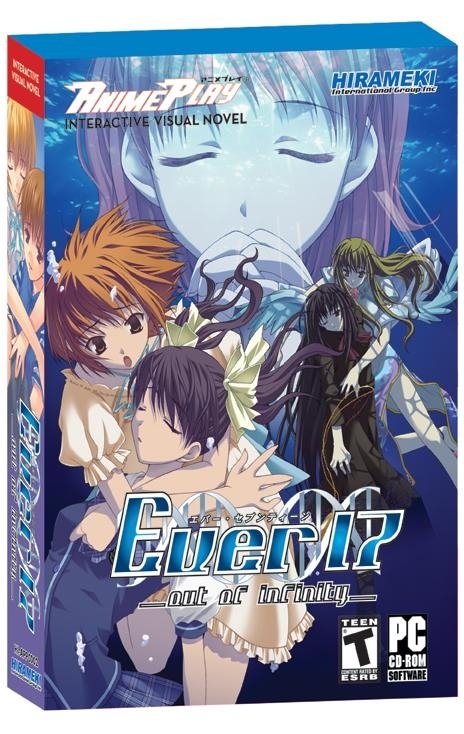 The box art for Ever17. 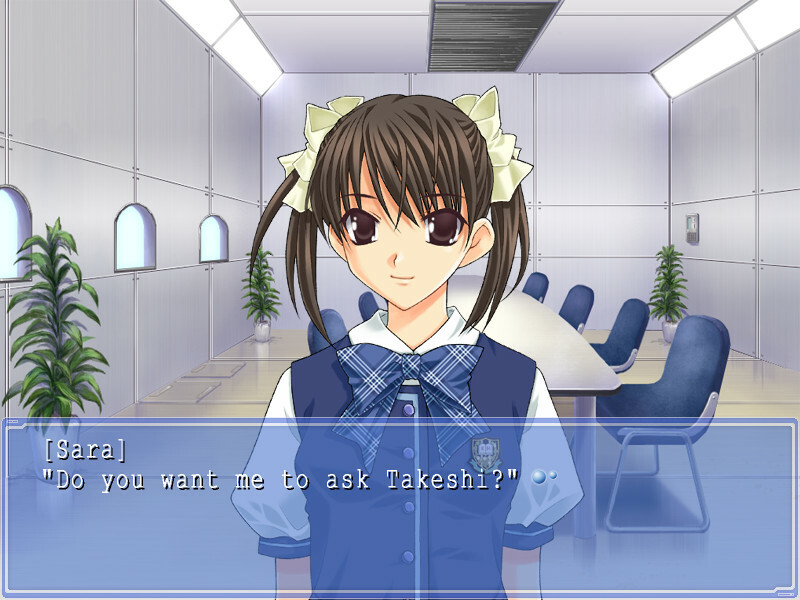 Ever17: The Out of Infinity is a visual novel developed by KID (now part of Cyber Front) and published by Hirameki International for the Windows PC in 2005. In the Western world, visual novels ( interactive fiction games with a heavy anime influence and intriguing storytelling) are pretty tough to come by. However, it’s a relief that most VNs translated in English are among the best. We’ve already looked at the highly popularNine Hours, Nine Persons, Nine Doors, and even casual gamers have heard of series such as Professor Layton and Phoenix Wright that has turned the VN genre into a successful enterprise. But one of my favorite visual novels is the excellent Ever17: The Out of Infinity, written by Kotaro Uchikoshi, who also wrote Nine Hours, Nine Persons, Nine Doors and its upcoming sequel, Zero Escape: Virtue’s Last Reward. Originally released in 2002 in Japan for the PS2 and Dreamcast, Ever17 proved to be immensely popular in its home country, and a “Windows PC Premium Edition” was released in 2003. Two years later, the now-defunct Hirameki International, which translated some VNs for the American market, released this version in the US. While it’s been long out of print, it’s still highly regarded among the VN community for good reason: the story, characters, and presentation give Ever17 a brilliant sci-fi vibe full of plot twists; and it’s not to be missed. In the game, you can play as one of two characters. Takeshi Kuranari is a college student who gets separated from his friends in the waterpark, while Kid is an amnesiac who has no memory of who he is or why he’s at LeMU. In total, there are five different paths to take: two with Takeshi, two with Kid, and the final path. The five girls you get to know in each path are wonderful characters. If you play as Kid, you get to meet You, a cute and outgoing LeMU employee, and Sara, a high school girl obsessed with hacking and ninjas. Takeshi meets up with Tsugumi, a girl who fits the “tsundere” and “mysterious and cold-hearted” archetypes, and Sora, a LeMU tour guide who always thinks rationally. The fifth character, Coco, is just insane. You might think the characters seem a bit cliched at first, especially Sara, but the characters’ quirks and secrets overshadow anything of that nature. You, one of the five main heroines. The story starts in the marine sea park LeMU, a facility that starts at the surface and goes down in three levels. Although the park is underwater, it’s surrounded by a bulkhead that keeps water out. However, an incident occurs on May 1, 2017, that puts half of the park underwater and traps the seven protagonists in a level of the park 167 feet below the surface. With the routes to the surface shut off and only 119 hours to escape, all seven people must work together. While the story seems simple at first, it takes time-tested concepts such as time travel, quantum physics, parallel universes and such to new heights as it progresses. You’ll be hooked by the time you get to the true ending. Absolutely no spoilers, but even with the bittersweet endings of each of the first four paths, the true ending has one of the best plot twists I’ve ever seen written in a video game. Sara asks Kid a question. A game with such an intelligent story needs to have a good presentation to match, and Ever17 certainly delivers in this aspect as well. The translation has good writing overall. Although Hirameki’s translations were known for being error-prone, Ever17 is thankfully an exception, with only a few strange sentences and a bit of misplaced punctuation every now and again, but nothing extremely significant. The graphics are quite excellent for a 10-year-old game, with well-drawn 2D character sprites that are arguably more expressive than many 3D characters in games these days. The music accompanies the game in a wonderful way, and each of the 26 (!) tracks earns its place. Also, the game is fully voiced. The performances also help with the emotional undercurrent of the game, and if you’re into anime, you’ll recognize some famous voice actor names. The amazing story isn’t the only contributor to this game’s already high replay value: once you unlock the endings, you can get wallpapers, screen savers, and voice files that you can set as Windows system sounds. Very cool! Aside from some minor cliches and translation glitches that don’t affect the overarching storyline, Ever17 is truly flawless. This game will make you want to get every single ending, and you’ll be spending hours upon hours trying to find the truth about what happened at LeMU. Ever17 is an absolute must-have – if you can find it. 5= A Nearly Perfect Game. A must buy game. This game is as close to perfect as can possibly be. 4= A Great Game. You should seriously consider buying this game if you own the console. 3= A Good Game. The game will likely appeal to the fans of the genre or series. 2= A Poor Game. The game has some issues. Only the most devoted fans of the genre or series should buy this game. 1= A Dreadful Game. We cannot in good conscience recommend this game to anyone, it is that bad.